Two doctors have saved the life of a woman on a plane by constructing a makeshift medical ventilator in mid-air. 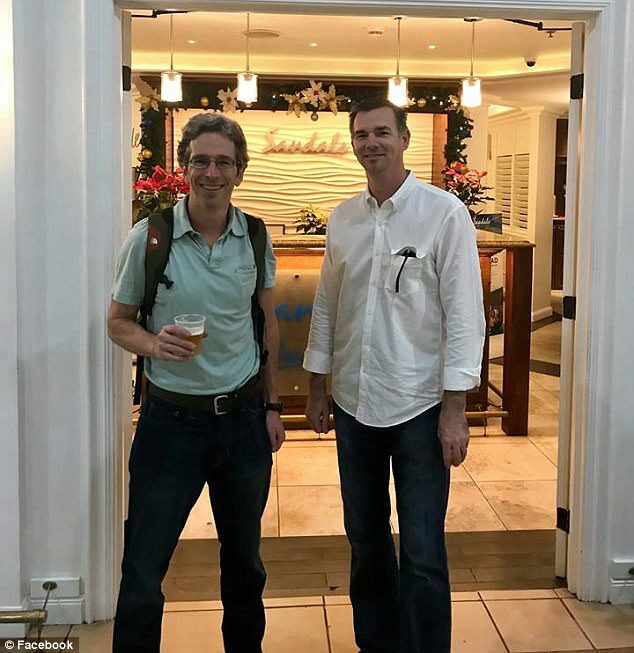 Anesthesiologists John Flanagan and Matthew Stevenson were on their way to Jamaica for a vacation with their wives when an elderly woman on the JetBlue flight went into respiratory arrest. 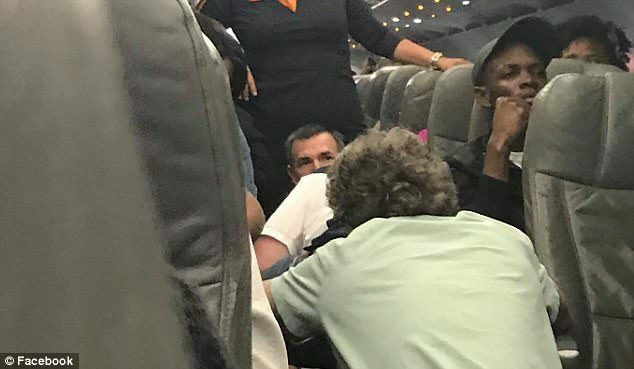 Stevenson noticed the woman was in distress about 20 minutes into the January 6 flight from Orlando, Florida to Montego Bay, Flanagan’s wife Xenia wrote on Facebook. ‘He flagged John down for help as the lady went into complete respiratory arrest,’ Xenia wrote. 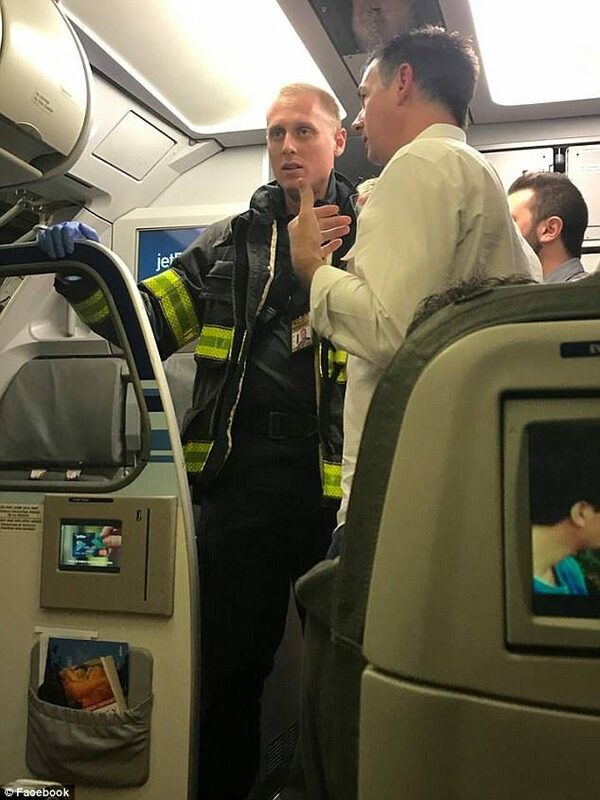 Finding that the woman was not breathing, the two doctors asked the flight crew if there was a hand-operated manual resuscitator on board to keep oxygen flowing to her lungs. The crew didn’t have the equipment needed though, and the emergency air masks in the ceiling aren’t designed for ventilation. So the doctors, who have a practice together in Jacksonville, were forced to improvise. While Flanagan used rescue breathing to keep the woman alive, Stevenson went about gathering materials to make a ventilator, Flanagan told the Daily Mirror. Stevenson cut the tubing and airbag from the emergency masks in the ceiling and managed to connect it to an oxygen tank that was on board to create a ventilator. ‘It was both amazing and terrifying at the same time to witness my husband and his friend do something they do every day..save someone’s life,’ recalled Xenia in her Facebook post. 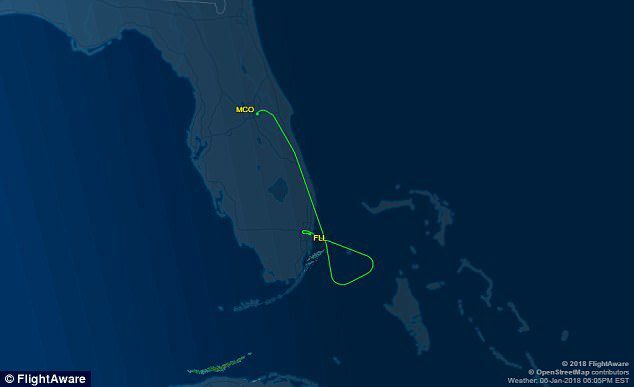 The doctors advised the flight crew to make an emergency landing, and the plane diverted to Fort Lauderdale Airport. As the plane made the emergency landing, the makeshift ventilator kept the woman alive for nearly 45 minutes, Xenia said. 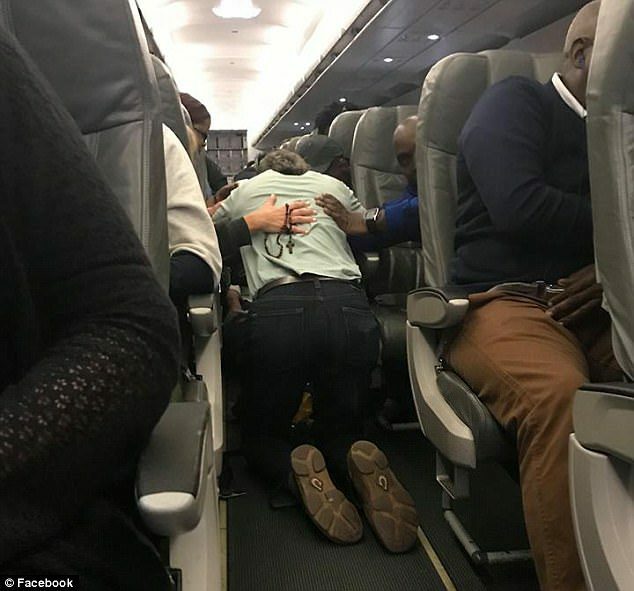 The passengers all gave the two doctors a round of applause when medics rushed on board to take over care of the woman. ‘It was beautiful to witness so many good samaritans praying and holding them up during the entire ordeal,’ the proud wife said. After the crisis was over, the two doctors and their wives did eventually make it to Jamaica, where they posed with a celebratory beer at the Sandals resort.